Motion to aim with gyro: approved! 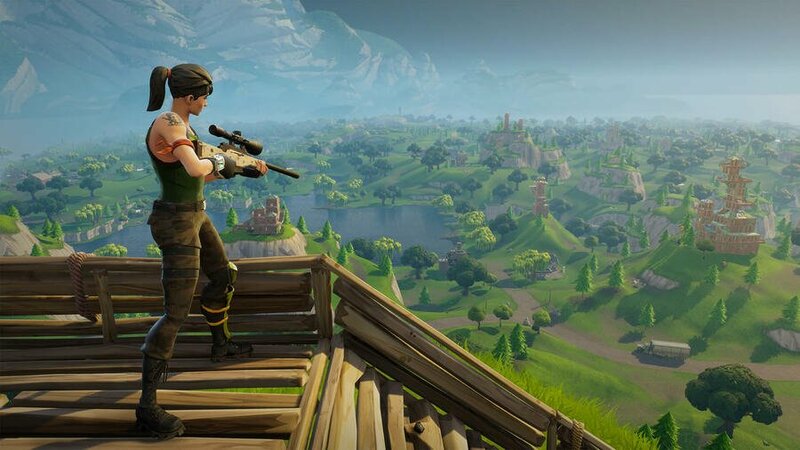 Fortnite Season 5 finally introduced one of our most requested features: Motion Aiming for Nintendo Switch users. This allows you to finally play the game much like you would in Splatoon 2: by panning the camera about using the Gyroscope inside your Joy-Con or Pro Controller. In a nifty touch, Epic allows you to choose between using motion controls all of the time, or just when looking through your scope or ironsights. You can even go more granular than that, and use it only with only one of the above. In this guide, we're going to walk you through how the new motion controls work in Fortnite on Nintendo Switch, so you can get those Splatoon 2 feels while blasting apart your enemies. In the Fortnite lobby, press '+' then go right and up on your d-pad or left analogue and press 'A' while highlighting the cog icon. As you can tell, that's three different settings for three different instances in which you can now use motion controls. 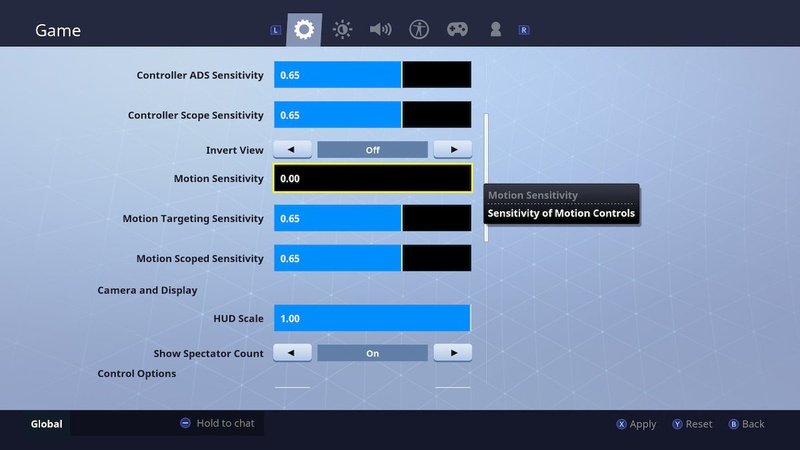 Motion sensitivity allows you to use motion literally all the time, while targeting and scoped allow motion controls while looking down your iron sights or a scope respectively. Now, there's no simple 'On' button to turn on motion controls. Instead, they turn on as soon as you've set a sensitivity option. 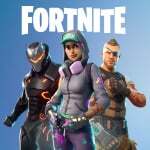 Fortnite - What Motion Controls Sensitivity Should I Use On Nintendo Switch? That's largely entirely up to you. You can tweak the settings while playing if you can find a safe spot to practice in, and we'd recommend doing that so you can fine-tune the settings for your own personal taste. Our preference was to only use motion controls while aiming down the iron sights. Due to the lack of a reset button, we didn't really get on with using them all of the time, like in Splatoon. We also found that they lack the precision required when using a scoped weapon, so avoided using it for them also. But ultimately, it's entirely up to you. We'd recommend setting a low sensitivity when using a scoped option if you really want to go with motion, and generally to not neglect the right stick. It still comes in very handy in most situations. I feel like they need to tighten up the motion controls with a reset button. Also it feels like the implementation is imprecise and laggy. @memoryman3 I completely agree, went back to standard controls after three games of dying with motion controls. Still glad they added it for people that wanted it though. Fine time to add motion controls right as the Playgrounds close down. @memoryman3 Agreed – I've already turned them off. Feel like it needs some kind of smoothing option, and a reset button as you say. The right stick acts as a reset button of sorts. Does anyone know how the motion sensitivities match up to Splatoon? I'd love to use the sensitivity I'm already used to.